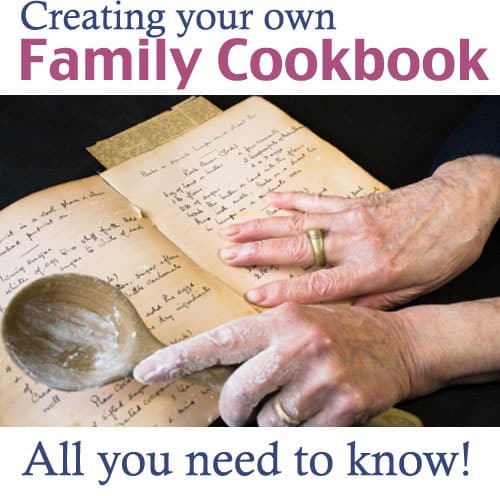 Have you ever thought about turning your cherished family recipes into an actual family cookbook? It’s a great idea for reunions, weddings, birthdays, and holidays like Christmas. Have your family members contribute, especially those favorite’s like Grandpa’s fudge or Aunt Laura’s famous mashed potatoes. It makes for a wonderful family heirloom that everyone will cherish. If you aren’t sure where to start, I’ve put together plenty of tips and step by step ideas to get you on your way. Organization is the key, especially if you are on a timeline and would like to have your book ready for a certain event, like a reunion. 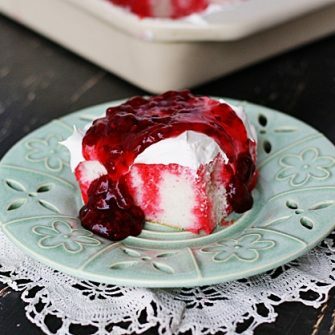 To find out how to get started, check out my article Turning Family Recipes into a Cherished Heirloom at P&G Everyday. In the article I mention that there are online sites to help you create your book. There are several sites that offer photo books, but Blurb.com is one that I found that specifically offers cookbook formats. Get started by downloading their free software and choosing one of their cookbook layouts. Drop the recipes into the layout and if you like, embellish the pages with illustrations, backgrounds, and photos. Once your order is placed you will receive your book(s) in about a week. They also offer discounts on volume orders, so be sure to check into that if ordering enough for the whole clan. You can preview a few examples books like this one on their site as well. So head over to P&G Everyday to read Turning Family Recipes into a Cherished Heirloom. Remember to pin THIS post so you have not only the link to the article, but also the information for the online site to create your book. Enjoy!